I’m pleased to be supporting the St. Norbert Business Improvement Zone with Community Incentive Grant funding to continue upgrading ‘Main Street St. Norbert’. 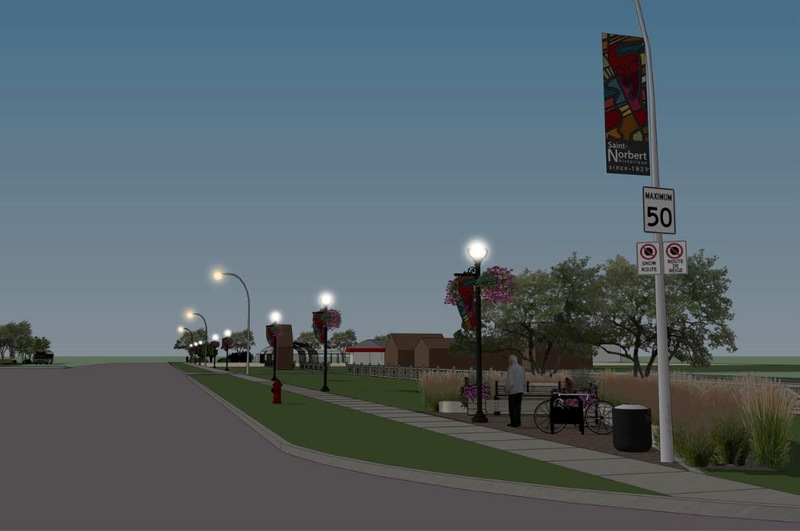 Currently, Pembina Highway in St. Norbert is experiencing major water main construction, but as soon as re-sodding, re-paving and street clean up occurs, new pedestrian lighting, flowers and banners will be installed! The pedestrian lighting project is being led by the St. Norbert Business Improvement Zone, in partnership with Entreprises Riel, City of Winnipeg and Province of Manitoba. The lighting is part of the ongoing re-development of Main Street St. Norbert, Winnipeg’s southerly gateway community. Newly installed poles will provide pedestrian scale lighting and enhance the walkability of Main Street St. Norbert. The pole design coordinates with the beautiful pole design on the La Salle Bridge, and will also include flower baskets and colorful aluminum banners – with a design similar to the gateway entrance signage! The St. Norbert Farmer’s Market attracts over 10,000 people per week from May to October and as Winnipeg’s southerly gateway entrance, over 20,000 vehicles traverse St. Norbert daily. 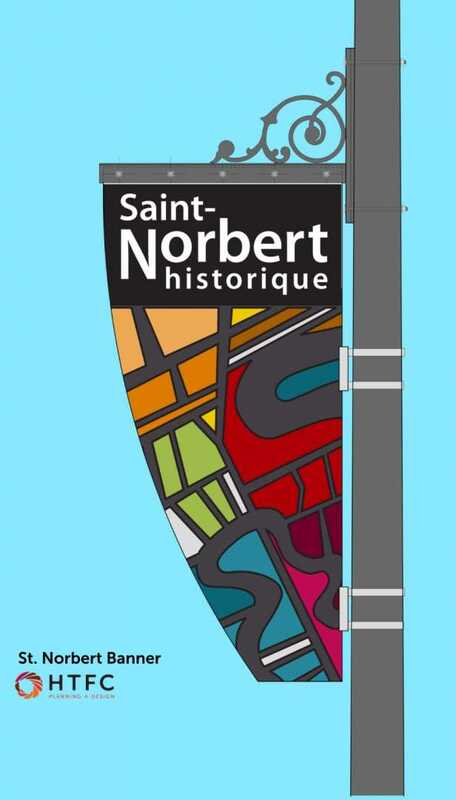 I’m very pleased to continue playing a key role in the upgrading of the bustling and very active community of St. Norbert!